Welcome in Nasycalnia Podkładów S.A.
We produce impregnated wooden railway track made up of pine, oak and beech of polish origin. Our company offers sleepers, sleepers for tournouts (switch-sleepers) and bridges in variety of common dimensions and other on customer's demand as well. 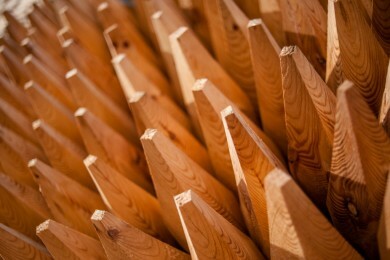 Wood is impregnated with creosote type B or C using empty-cell Rüping method. 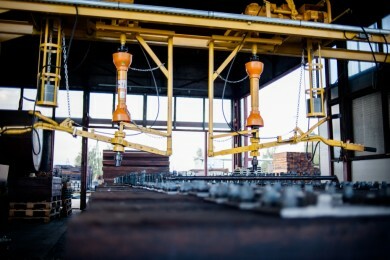 We offer service of drilling and mounting railway accesories. Our production lines are equiped with drilling-milling and srewing machinery. We drill and assemble plates for common rails gauges (S-49 and S-60) and other according to technical requirements. 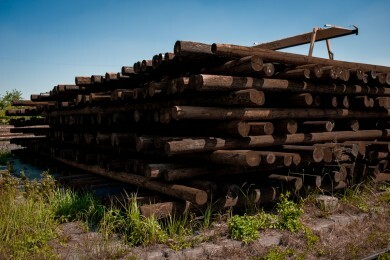 We produce impregnated teleenergetic pine poles i various sizes and dimensions. 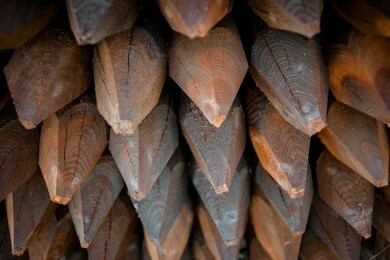 Wood is impregnated with creosote type B or C using empty-cell Rüping method. We offer service of impregnation with creosote type B or C using empty-cell Rüping method. 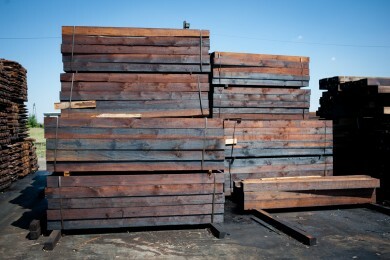 Our company impregnates products such as: railway sleepers, poles, posts, fences and other wooden materials. We have separate autoclave for pressure-vacuous with salt preservative KORASIT KS - based on complex copper compounds and free from chromate and boron. We impregnate lumber, roof truss, elements of garden program.